Do you love SoDu? We do too! As a registered dietitian, and owner of Well Balanced Nutrition, I am always on a mission to find more health and wellness resources for myself and my clients. The original intent of this article was to highlight the different wellness businesses and programs in South Durham; instead, I discovered not just businesses but passionate individuals on a mission to help others live an active, happy, and healthy life. It is exciting to see and experience how many different avenues the SoDu community can take to create a well-balanced lifestyle right here in our own backyards. Below you will find ten options for taking the next step on your wellness journey. We know there are so many more! 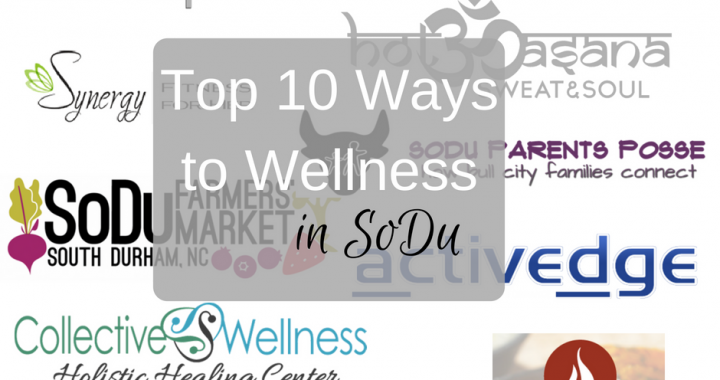 Tell us what other SoDu offerings have helped you reach your health goals! Have you seen RUN DRM shirts around town?! Maybe in large groups at the Fullsteam Ahead! Run Club every Wednesday at Fullsteam Brewery…That’s the results of Bull City Running Co co-founders, Jason and Kim Page, following their passion to create a community of runners and walkers striving to reach various fitness goals. They aim to make a fun, informative, and inspiring atmosphere at their premier technical running and walking store in Durham. Bull City Running is rooted in the Durham community and exists to offer good advice and quality products to their customers. Everyone’s needs are met from the Kids Run Durham to the Marathon Training program. You can find Bull City Running in many community events - some they coordinate and run, such as Runbuds- a women’s running clinic (for budding runners). Betcha didn't know... Your go-to local running store (that's Bull City Running Co., of course!) does much more than just selling running shoes! They also provide race direction and timing services that bring you a number of awesome local races (The Running of the Bulls 8K, Race Across Durham, The Uwharrie Mountain Run, the Eno River Run, and the Mountains to Sea Trail 12 Mile and 50K Challenge to name a few) and provide timing for a number of others! AND they're the Triangle's one and only dealer and renter of ElliptiGO elliptical bicycles! Being your local running specialty store isn't just about selling great gear. It's about building and growing an awesome running and fitness culture in our community! At Synergy Fitness, they offer both small group and private sessions to build strong and powerful women. They believe a combination of exercise, nutrition, a strong community, and a supportive team are the key pieces to success for their members. Whether you're just getting started or taking the next step for your health and well-being Synergy Fitness for Her provides a safe environment to gain strength and overcome injuries and self-doubt. You will gain confidence and a cheerleader while you’re there! Betcha didn't know…The process of losing physical strength and bone density begins around 25 years old. By being proactive, eating well, and working out regularly can help protect our bones and muscles from deteriorating quickly. At Synergy, they focus not only on an amazing, challenging, and well-rounded workout but they take pride being experts in Functional Fitness! Their members enjoy a challenging workout in a family-like atmosphere; where the staff pays attention to every detail, you are greeted by name, and the trainers make sure they do everything possible to help you attain your goals. Fitness journeys can be a struggle so why not make it easier and go to a place where you are treated like family and not a dollar sign? Just as the name indicates, at Collective Wellness you will find a plethora of healing options including yoga, meditation, massage therapy, energy healing, acupuncture, and health coaching - just to name a few! This center has combined some of the best healers around to create a place of health-minded practitioners offering a variety of holistic treatment options under one roof. Each person that comes to Collective Wellness is seen as an individual with their own goals. Whether you are in pain, need to overcome an injury, or looking for a place to feel mentally refreshed and rejuvenated, there is a place for you at Collective Wellness. The team will help you find which healing method is best for you. Betcha didn't know...that they have so many different ways to help create wellness in your life - all under one roof. Collective Wellness also has wellness programs geared toward making your own commitment to your personal wellbeing. You may not know about this SoDu community gem, ActivEdge, which is tucked in the corner off Garrett Rd and 15-501. ActivEdge is a unique combination of Physical Therapy and Personal Training started by Brian Diaz over 10 years ago. It is their mission to create a personalized experience for each member to feel comfortable and vested in their personal health and wellness. ActivEdge has a heart for serving everyone who walks through their doors to become healthier and happier. The ActivEdge physical therapists offer early morning and evening appointments to accommodate the busy working professionals with various injuries or limitations. They are in-network and accept most major insurance company benefits in the Triangle area. For those looking for accountability, a tailored fitness program, and an awesome workout - look no further! At ActivEdge you will be plugged into a personalized training program suitable to your level that fits your needs and your budget with lots of guidance and support throughout each workout. Betcha didn't know...At ActivEdge, you only have two jobs: SHOW UP, WORK HARD. Well Balanced Nutrition is on a mission a bring you back to balanced and nourishing food choices. Well Balanced Nutrition serves women who are tired of body dissatisfaction, emotional eating, and feeling overwhelmed. Our coaching programs empower women to ditch the diet and gain confidence in their bodies and food choices. We are in-network with BCBS in North Carolina. We offer convenient and personalized virtual sessions for those looking for a program that fits their schedule. We strive to make the process of becoming more balanced fun and attainable. We specialize in coaching each client through behavior changes; digging deeper to discover and conquer whatever it is that is preventing you from accomplishing your goals. Betcha didn't know... Well Balanced Nutrition meets you where you’re at. You can start with a quick 3-minute assessment to determine ‘Is diet mentality holding you back?’ and join the tribe. This will give you a kick start into eating and living a well-balanced life. The SoDu Farmer’s Market is on a mission to provide access to delicious and healthy food grown in a way to sustain and enrich our local environment. Each of the farmers and artisan food makers at the market are within a 50-mile radius of South Durham. They grow and create the most flavorful and nutritious foods found at the market each Saturday morning between 8 AM and 12 PM. Even if you left your cash at home, many of the farmers are now accepting debit/credit cards or you can purchase wooden ‘debit’ tokens at the market that will allow you to buy produce and food items from the various vendors. Each Saturday morning, you can find your neighbors and friends shopping at the market. There’s always plenty of parking, coffee, local music, and a Kids’ Tent - so you can find something for the whole family! Betcha didn't know… The SoDu Farmer’s Market website is a hotspot of useful information including delicious recipes to fix the fresh foods you find throughout the changing seasons. And it was recently voted 8th best Farmers Market in the state! Primal Food and Spirits is a tasty and locally-sourced treasure of South Durham tucked in the corner of the Southpoint Crossing shopping center (just down from Kroger). 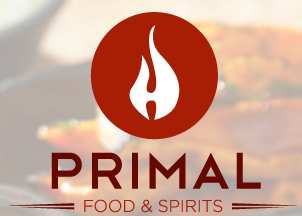 What is unique about Primal is their commitment to providing a 100% gluten-free kitchen for people in the community with a gluten sensitivity. They keep the kitchen completely gluten-free to avoid cross-contamination, which sets them apart from any other restaurant. Luckily, there is no sacrifice of flavor and delicious choices! At Primal, you will find foods in their more basic form, unprocessed, home grown foods, served in a genuine and delightful way. They invite you to come savor the difference in quality when you take a bite of the pasture-raised meat cooked over a wood fire. Their cooking methods infuse the foods with flavors that are simply not found with alternative cooking methods. Primal Food and Spirits has partnered with local farmers to showcase fresh ingredients in everything that’s coming out of the kitchen. Community is an important piece of wellness and it’s been incredible to discover and learn more about the SoDu Parents Posse, founded by Kat Benson in 2012. Kat is driven to connect the vibrant and diverse community of parents in South Durham. She saw an opportunity to create an inclusive group for all sorts of families. The group values include, recognizing dads as a vital part alongside of moms, respect all people’s opinions, and to welcome everyone with open arms. 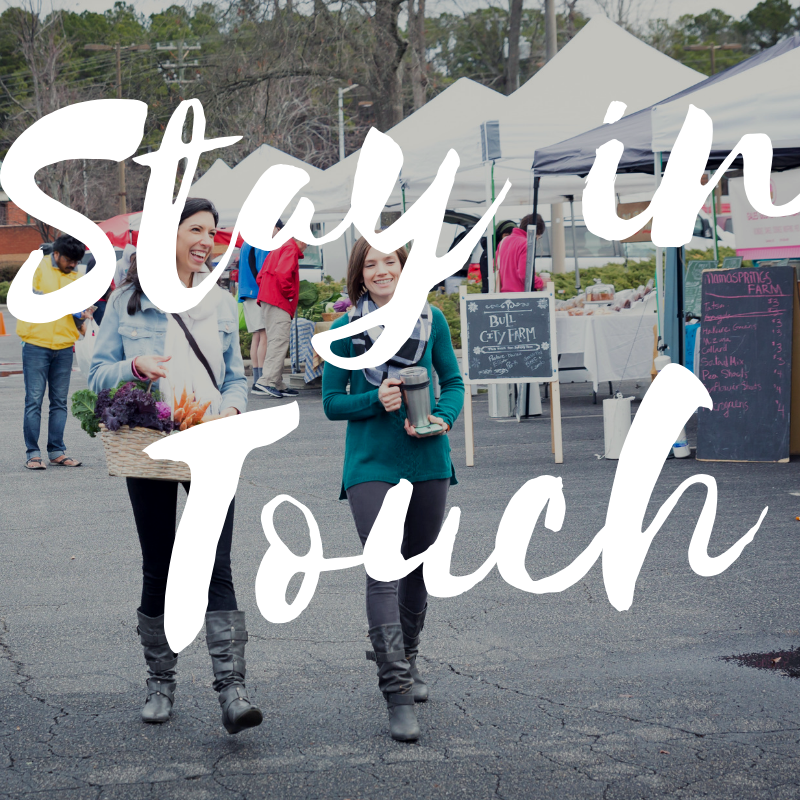 Betcha didn't know… On the blog, you will find a plethora of ways to get plugged into the Durham community, learn about educational resources and opportunities for the kids, and many more family friendly ways to enjoy our beautiful state! It was not until the end of 2017 - after 3 years of living in South Durham - that I finally got the courage to try Hot Asana Yoga Studio. Perhaps intimated by the name, I was delightfully surprised to find a warm, welcoming, and inclusive environment. At Hot Asana, their philosophy and model offers dynamic, inspiring classes, led by versatile talented teachers to support your own unique health journey. Founded by Virginia Gallagher, from Southern Pines, NC, Hot Asana is a yoga brand designed to welcome all walks of life (and they do!) in a network of studios, including in the SoDu area off Renaissance Parkway - across from Michael’s and Home Goods. In case you are still not sure if hot yoga is right for you, Hot Asana offers both warm (below body temperature) and hot (above body temperature) classes. There are a variety of classes from their signature flow vinyasa style class to yin yoga, and even an aerial yoga class! Betcha didn’t know…No matter your experience level — beginner to advanced and every place in between — you are welcome at Hot Asana Studio. Their skilled staff will safely challenge you to find your personal edge. Last but certainly not least, Kristen wanted to make sure all the SoDu homies know about Burn Boot Camp! When you walk through the doors of Burn Boot Camp - South Durham, you'll instantly feel the energy. Monday through Saturday the trainers take you through a 45-minute high-intensity workout that will maximize your time there. You'll start with a 5-minute warm-up, followed by a 25-30 minute workout and a “finisher” which is 3-5 minute of exercises designed to really push you out of your comfort zone and end your workout on a high note. The best part? No two workouts are ever the same, making it hard to get bored. Camps are held at various times throughout the day and free childcare is provided at most times. Betcha didn't know...The supportive community is a big part of Burn Boot Camp. Campers encourage one another to strive for their best self and the trainers truly care about each member. It's also easy to try out. Free camps are offered (for men and women) every Saturday. These are just 10 of what I'm sure are countless ways to create a healthy lifestyle in South Durham. As we gear up for the Summer season, I'm curious what tool or program will be most helpful for you? Also, we would love to know what additional SoDu offerings have made a difference in your life? Tell us in the comments below! Lucy Hayhurst and Kristen Norton are Licensed and Registered Dietitians/Nutritionists and the owners of Well Balanced Nutrition. It's their mission to improve lives by teaching, empowering and connecting people one wellness adventure at a time.